– Jenny Simpson talking about her love for art and comparing it to running. What is the most annoying american accent? Some fatboy coworker just buried me in the office charity 5k. WTF? Have you experienced a moment that you'll never experience again? Did you recognize it? 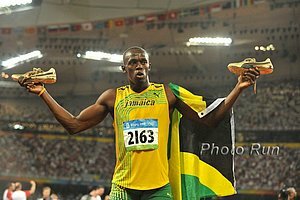 IAAF Evaluation Commission Concludes Visits To The Three Candidates For 2019 IAAF World Championships The final decision will be made November 18th. LRC Rita Jeptoo’s Agent And Coach, NYC Marathon Pros, & Paul a Radcliffe React To News Of Jeptoo’s Positive “A” Drug Test The agent and coach of the world’s top marathoner Rita Jeptoo expressed shock and surprise along with many of the top pros at Jeptoo’s positive test. Jeptoo’s agent said he may have an idea who gave her drugs if she did do drugs. RRW: Olympians Donn Cabral And Gwen Jorgensen Win NYRR Dash To The Finish Line 5K Cabral won in 14:24 as World Triathlon champion Jorgensen ran 16:03. Boulder Daily Camera Looks At Jenny Simpson’s Amazing Summer Season And How She Celebrated Afterwards Simpson describes riding a 2-mile toboggan slide in Switzerland, running to the top of the Eiffel Tower and her love for art. In Wake Of Rita Jeptoo Drug Bust, Paula Radcliffe Calls For More Effective Testing In Kenya And Other “Black Hole” Areas She’s means regions in the world where there isn’t much out-of-competition blood testing. Will Leer Reflects On His 2014 Season Leer says the year was too long for him which was why he burned out a bit at the end. German Athletics Federation Rules That Disabled Athletes Can Compete At National Championships But Can’t Make National Teams This is in reaction to LJer Markus Rehm who won German Champs last year competing with a carbon-fiber blade. 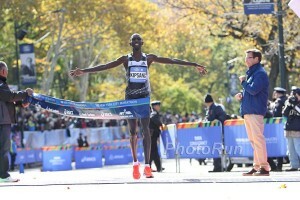 LRC Wilson Kipsang The World’s Best Marathoner, Meb Keflezighi Impresses, 3 Americans In Top 10: Six Thoughts On The 2014 TCS New York City Marathon It came down to the final quarter and Wilson Kipsang was too good. Meb was top American in 4th. 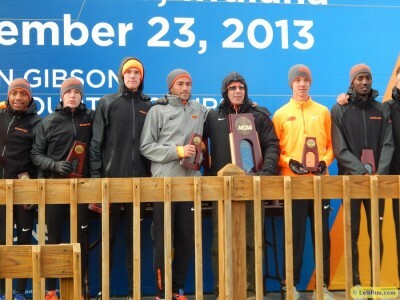 Top 40 results including Mark Coogan and German Silva in 39 and 40th. 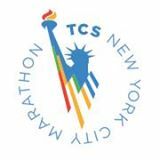 LRC Official 2014 TCS New York City Marathon Live Discussion Thread Blow by blow as it’s happening. Late Night/Early Morning – Pre-Marathon Reading: LRC Renato Canova, One Of The Top Distance Coaches In The World, Writes About Rita Jeptoo And Doping In Kenya Canova coached Jeptoo when her career started. South Africa’s Stephen Mokoka (2:08:43) And Ethiopia’s Tigist Tufa (2:21:52) Win Shanghai Marathon In CR Times Caroline Kilel was 2nd in the women’s race (2:25:22). Sending The Wrong Message: Wisconsin High School Runner DQed For Helping A Collapsed Competitor Get To The Finish Line We understand DQing the runner who received aid, but see no reason to punish the runner who cost herself a lot of time and several places to help a competitor. IAAF Preview Tomorrow’s Shanghai Marathon: South Africa’s Stephen Mokoka Defends His Title Against A Deep Field Including Ethiopia’s Endeshaw Negesse (2:04:52) Also Kenya’s CGs runner-up Stephen Chemlany (2:06:24). The women’s field has Tigist Tufa (2:24:31), Eunice Kirwa (2:21:41), Mamitu Daska (1:08:20 half last month) Caroline Kilel (2nd at CGs). Zimbabwe’s Collen Makaza And USA’s Emily Harrison Win IAU 50K World Trophy Final In Doha Michael Wardian was 6th. UK Athletics Name Athletes Receiving National Lottery Funding For 2014-2015 Some younger athletes like Lynsey Sharp and 400 sprinter Matthew Hudson-Smith were awarded for breakout years while vets like Jo Pavey were left off (despite her bronze CGs and gold Euro medals). Former 400H World Champ Dai Greene Retains UK Athletics Funding Despite Not Even Making Final At Commonwealth Games He didn’t make the final at Worlds last year either. LRC 5 Thoughts On The Women’s Race: Keitany Is Back, Moreira’s Impressive Debut, Linden Gets 5th, And Kara And Deena Struggle Mary Keitany outkicked Jemima Sumgong and the sport was saved a bunch of drug questions. Desi Linden was the top American as Deena and Kara struggled. Good Read: NY Times: A Brother Runs Past His Sorrow Stephan Shay honored his brother Ryan by finishing 14th (4th American). Tennis Star Caroline Wozniacki Runs 3:26:33 Her prep included a 4AM Halloween party on Friday and the NY Rangers game on Saturday. How Did The Celebs And Other Notables Do In NYC? 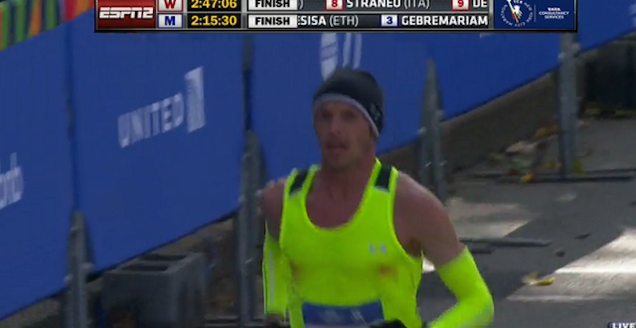 Olympic Nordic skier Bill Demong: 2:33:05. Former NY Giants RB Tiki Barber: 5:14:37.